Satellite Beach, Florida is a relatively new town by Florida standards. It was incorporated in 1957 and is on the barrier island south of Patrick Air Force Base and north of another relatively new town, Indian Harbour Beach. It has a population of about 10,000, and fronts the Atlantic Ocean on the east and the Banana River on the west. Brevard County had a severe housing shortage in the 1950's and 1960's due to the rapid build up of employment at Kennedy Space Center in support of the Apollo program designed to put a man on the moon by the end of the 1960's. Satellite Beach became one of the residential communities built to handle this extreme demand. Satellite Beach was founded by Percy L. Hedgecock. He and his brother-in-law, Jimmy Caudle and cousin Dumont Smith were originally from North Carolina and came down to develop real estate in the area. They built many of the original houses in the community. Percy was the mayor of the new town from 1957 to 1973. Most of the buildings in this little city were built after its founding in 1957, but one old building of interest is Holy Apostles Episcopal Church at 505 Grant Avenue. 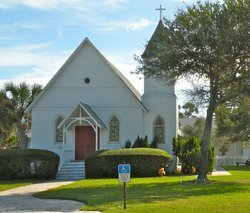 This church was originally built in Fort Pierce, Florida in 1902 and was barged up the Indian River Lagoon some 60 miles from its original location and placed in Satellite Beach in 1959. So even though the town was only two years old at the time, it had an historic church that is an excellent example of Carpenter Gothic architecture. It was the first church in Satellite Beach. I owned a civil engineering and surveying company, D. M. Miller & Associates, Inc., located at 1790 Highway A1A in Satellite Beach. Our office was on the second floor of the building and we had a balcony that overlooked the Atlantic Ocean. On January 28, 1986, most of our employees were gathered on the balcony about a half hour before lunch to watch the launch of Space Shuttle Challenger. We had an unobstructed view of its trajectory as it headed off down range in a southeast direction over the Atlantic Ocean. I will never forget the sickening feeling when we saw the explosion and realized at once that something had gone horribly wrong. 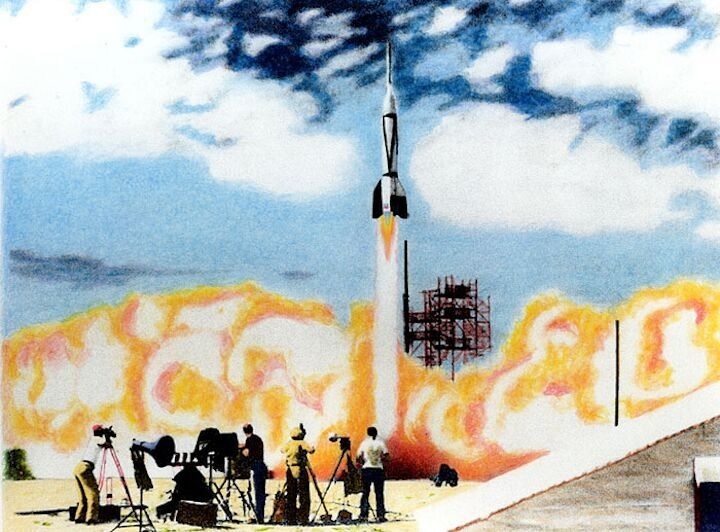 None of us who saw that tragedy ever forgot it or felt the same about other rocket launches. All seven people aboard the Challenger were killed in the explosion. Check out the video link above. It is Part 1 of 4 videos that celebrate the history of Satellite Beach. I had an office in Satellite Beach back in the day and knew about quite a few of the pioneers featured in this film, including the narrator, Scotty Culp. You will learn a lot about Percy Hedgecock and how one man can make so much happen in one lifetime. One of the things that makes Florida a fun place to live is that there are many places that didn't even exist just a few years ago. It's easy to learn their history and even be a part of it. And it makes you appreciate Old Florida and the back roads even more.